Description: This striking ring is adjustable. 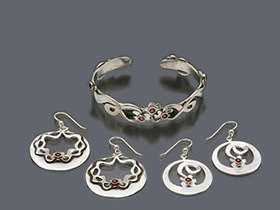 It has a wrap-around band that fits all small-medium size fingers. 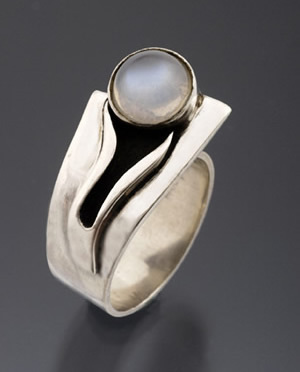 Fabricated sterling silver with black patina sets off gorgeous blue-tinted moonstone, 1/4 inch in diameter.